Yoko was wrong then, and you're wrong now. 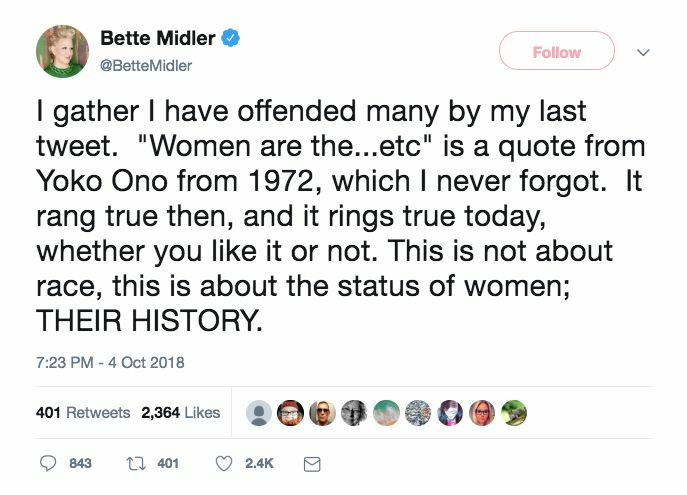 Some people accepted Midler’s lapse of judgment, but for others, the damage had already been done. Damn. 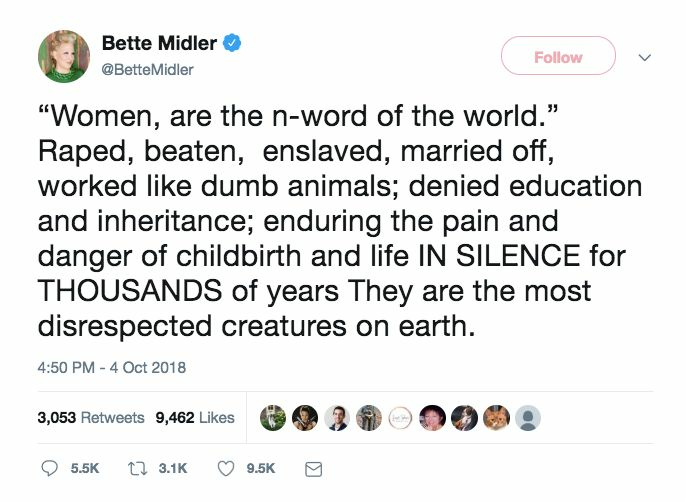 @BetteMidler had to go get herself canceled in October, of all the months?? I haven't even gotten to watch Hocus Pocus yet, this Fall.